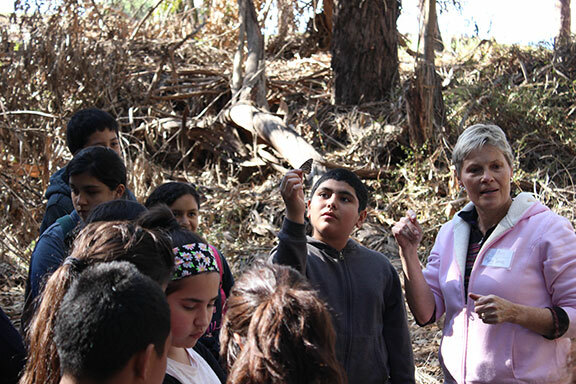 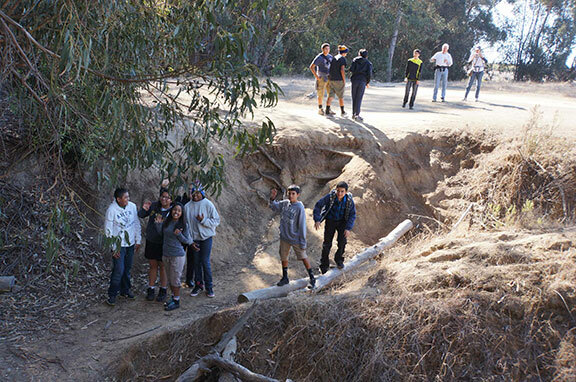 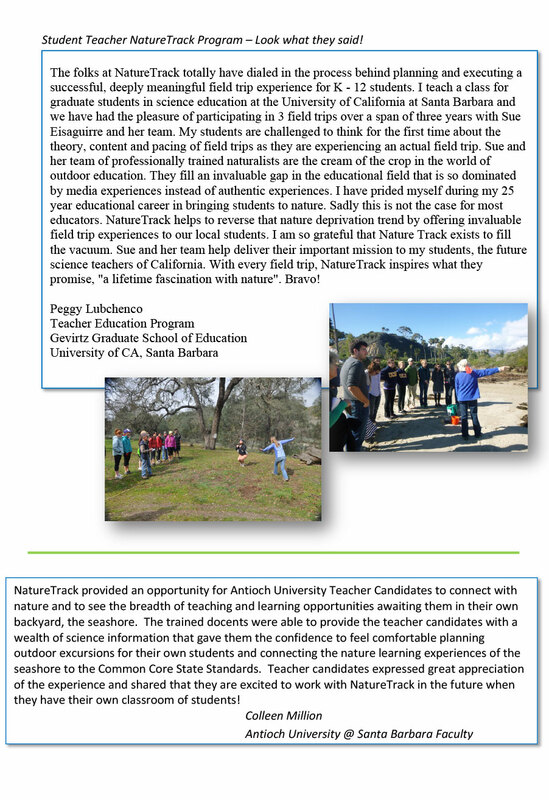 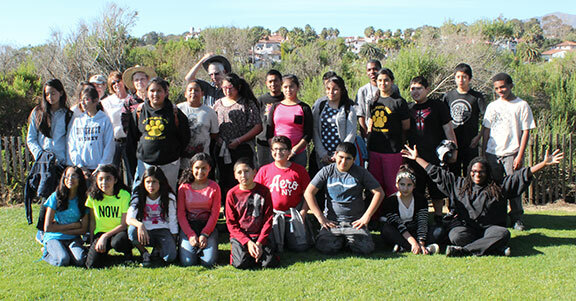 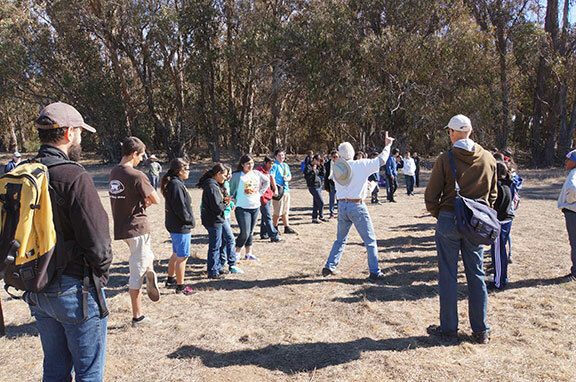 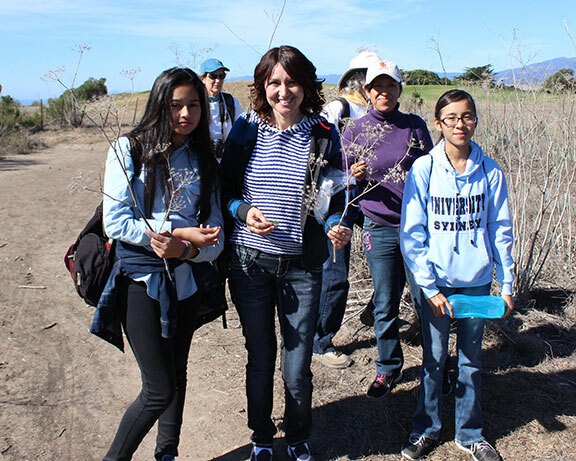 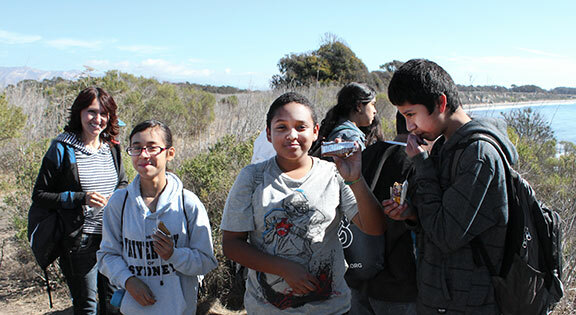 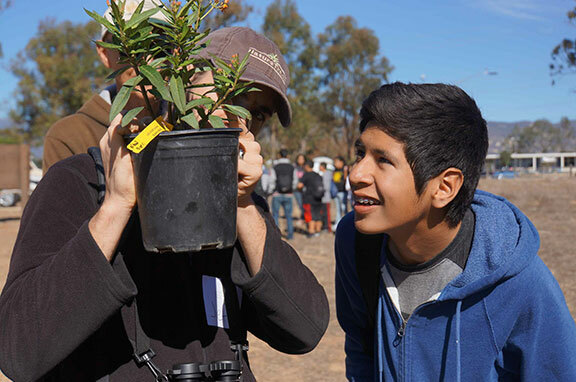 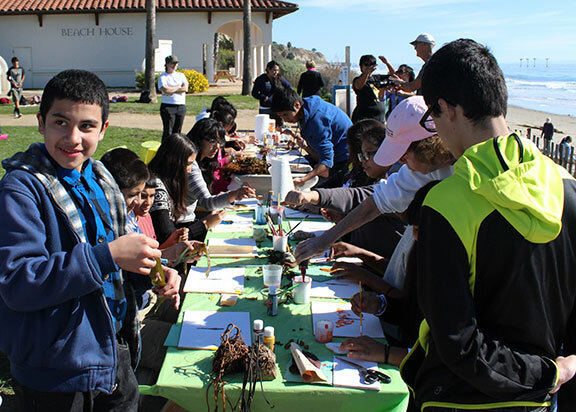 On February 5, 65 7th and 8th grade St. Lawrence of Brindisi School students from the Watts neighborhood of Los Angeles traveled to the Goleta Butterfly Grove for an unforgettable day and experience. 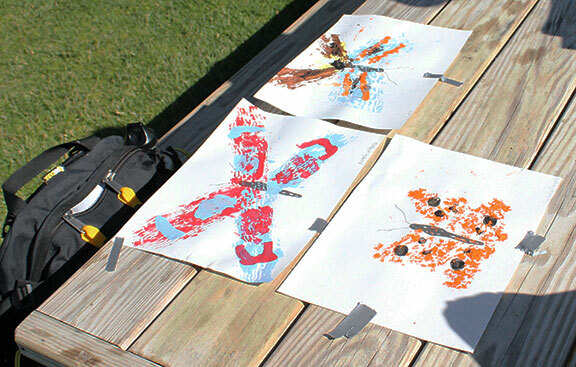 Students took part in a docent-led NatureTrack “adventure” where they spent the entire day outdoors learning about Monarch butterflies – seeing clusters of butterflies in the trees, butterflies on the ground “puddling,” and at times actually having a butterfly land on them! 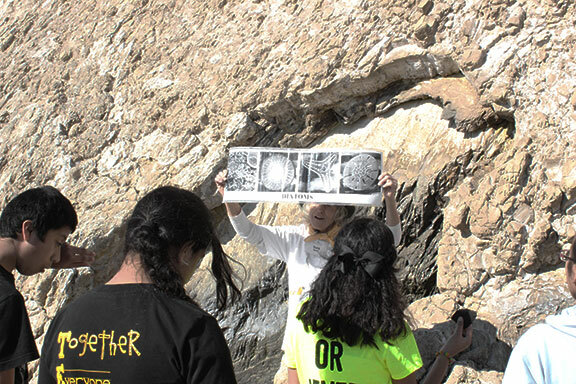 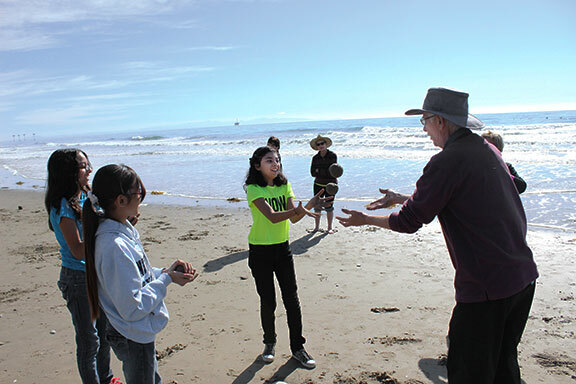 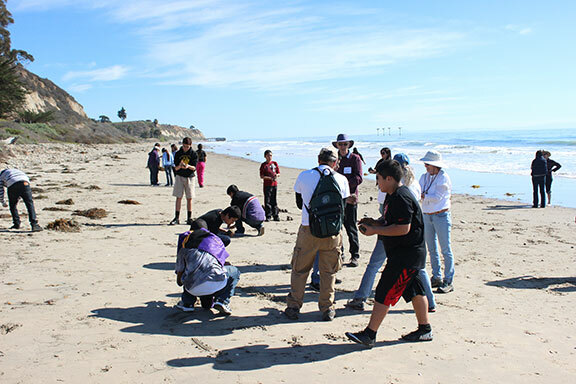 Students had time to explore the beach, create “sand globes,” learn about the local geology, and take in the natural beauty of the surrounding area. 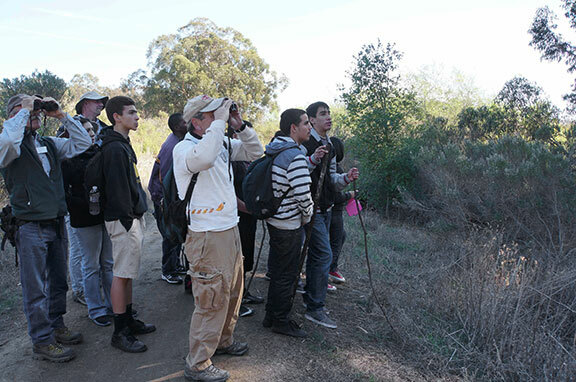 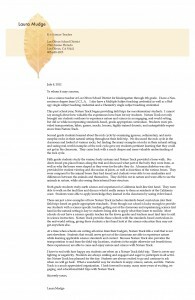 For many of these students, it was their first time out of the city and experiencing the wonderment of nature up close. 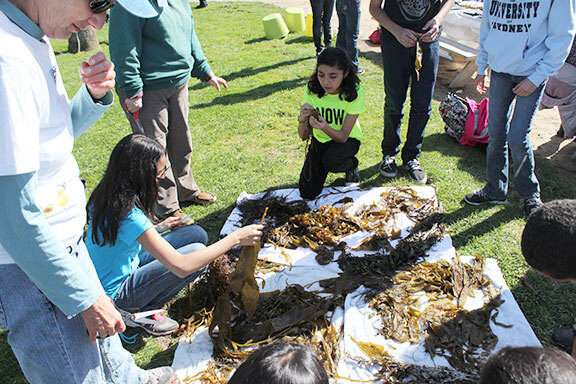 Students also created butterflies by printing with kelp, all the while learning the parts of the kelp and the importance of healthy kelp forests. 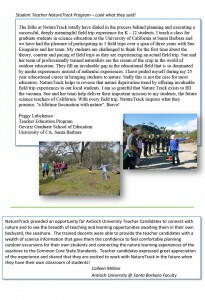 We are all fortunate to have shared this incredible experience together. 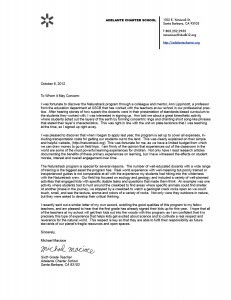 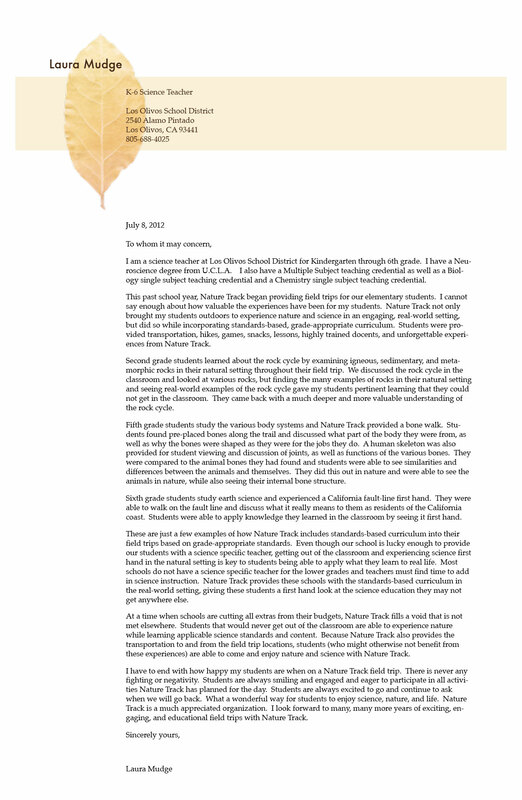 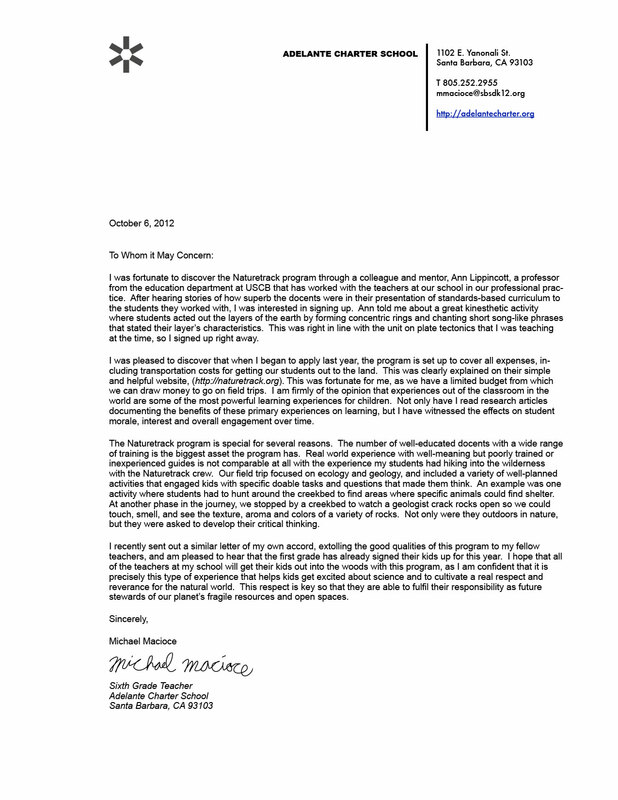 We hope you come back next year St. Lawrence!